Seniors, just like anyone from all other age groups, need to engage in physical activities to prevent weakening of the joints and muscles. 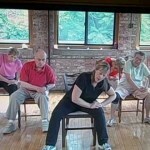 Seniors are even encouraged to engage in various physical exercises, including strength exercises, cardio exercises, and stretching exercises to maintain overall health, including physical and mental health. Stretching exercises are just as important as other types of physical exercises, since it can help in maintaining or even improving flexibility and range of motion. Studies and researches have proven that seniors who are physically fit live a happier and healthier life even during their senior years. 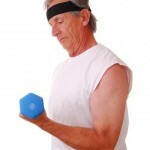 Be sure to wear an attire perfect for stretching. You should wear something comfortable and you should wear sneakers. Clothes should be stretchable as you stretch and move your body. 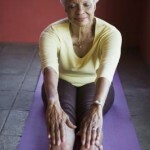 It is ideal for seniors to hold each stretching routine for at least 20 seconds. However, if you can’t hold your stretch for 20 seconds, just hold it as long as you can. Ask your doctor or physical therapist if you are fit to perform stretching exercises. Always make sure that you do not overdo or overstretch any stretching routine. It may possible cause muscle tear or even injuries. Hamstring is the term given to any of the three posterior thigh muscles (muscles behind the thighs). 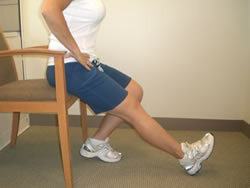 In this stretching exercise, hamstring muscles are focused. Always keep in mind to never stretch too far or overdo this stretching exercise, for you can injure your hamstring muscles. Repeat step 3 up to step 6 to the other leg.